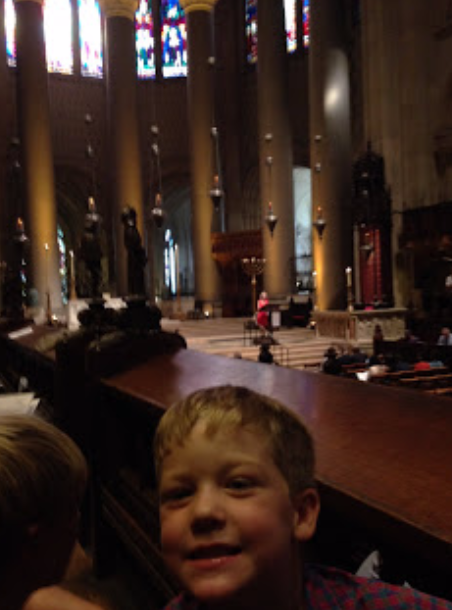 My five year-old son spent last week trekking to New York City for the priestly ordination of a dear friend. In the midst of the liturgy, he leaned over to me and said, “Was Jesus a Jew or a Christian?” I mouthed over the divider and said, “He was a Jew.” He looked at me and said, “Oh, so he didn’t even believe in himself?” I smiled and whispered I would explain the rest later. Family Christian formation often happens at unexpected times and places. In the last few weeks, Josiah has been listening to a great series called Tales from the Old Testament. Amongst the many Biblical stories he has honed in on the story of Abraham. 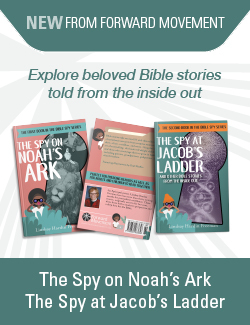 He has been fascinated by the story of Abram and Sarai as they became Abraham and Sarah. He knows that Abraham was the father of many nations. To our ears, the stark questions of little people, especially around issues of faith and faith identity, can make us very uncomfortable. After all, they are acquiring a whole new language and it is a language that they have yet to learn to ghettoize. They have yet to understand that speaking about God isn’t always polite conversation. They have yet to censor their musings about the Holy. Josiah wants to talk about God and Jesus and Jews and Christians because he is searching for a way to articulate his relationship to God — and with others. Jerome Berryman, an Episcopal priest and the founder of Godly Play, writes, “Children have the same existential issues and fears that we adults do, and learning the ‘classic Christian language system’ as children is key to successfully managing those issues and fears across the lifespan.” But, so often we adults retreat from delving into such playful language or conversation with our children because their thoughts push us into discussions where we feel we are not experts. We feel uncomfortable with both the classic Christian language system and our children’s uncensored questions. And yet what is most revelatory is that the questions come from a deep relationship and sense of the Holy — one which has probably been greatly diminished in our own adult spirituality. As Christian parents our children “overhear” the classical Christian language in worship. Those big words like Eucharist and Thanksgiving and Confession and the Nicene Creed eventually become their own as they grow up into the faith. Those words are teased out in the context of Christian formation as the children do the work they need to do to make sense of their new language. In their circle time, their lesson, their play, and their prayer those words become a part of their vocabulary. So, our call as Christian parents is to encourage, and even elicit, these holy conversations even when we feel we have nothing to offer. No matter the question or the inquiry, we have our body language, our posture, and our openness to just listening to our children that will continue to push them to acquire that language which helps them speak about the One who has called each of us by name. Just tonight Josiah threw another doozy at me, “Mom, did Mary have Jesus in her belly when God created the world?” And while I paused to think, I couldn’t help but rejoice that my boy understood something about the complexity of God as Creator and God as Redeemer and the work of humans in this great story of salvation history. And Jesus said, “Let the little children come to me.” I imagine they will continue to come to us, through Him who made them, if we can continue to receive their cosmic questions and hold those yearnings with grace and sincerity. What big question from a child has stuck with you? It wasn’t the question, it was the answer – When my grandson was 2 he would go to the altar rail with us and on one Sunday, he held out his hands and the Priest (without thinking) put the wafer in his hand. After the service the Priest said to me maybe I shouldn’t have done that. I said to ask him what he received. When asked, my grandson said “Jesus”. I truly believe they understand much more than we give them credit for.